Many people who file bankruptcy are surprised to discover how quickly well-managed credit can recover. 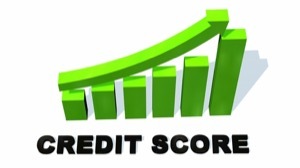 However, jumping the gun because you're too eager to rebuild credit can have the opposite impact. Not all secured credit card offers are created equal. There are some credible lending institutions that offer secure credit cards and there are others who will give you a low credit limit and immediately impose excessive fees against it putting your available credit rating in a negative range without you even charging a cent. Accepting credit card offers simply because you want to start establishing credit again can end up hurting your credit scores in the long run. Predatory creditors will probably flood your mailbox with credit offers. Be aware that many of these offers come with fees for everything from activation to monthly fees for just having the card. With these cards, you'll be close to your credit limit before you even use the card. Read the fine print on all offers that you receive after a bankruptcy. Don't jump at any offer that comes through the mail. Instead, take the time to choose your next credit card with care and read all the fine print - everywhere. Don't abandon your better judgment in the process and make sure you fully understand the costs associated with the card. Right after filing bankruptcy, you probably won't be able to qualify for a mortgage or car loan. However, it's also not the doom and gloom that some people believe. For most people who timely pay their bills after filing bankruptcy, those loans may be possible 3-5 years after discharge. The key is to make sure all your post-bankruptcy obligations are paid on time. You'll probably pay a higher interest rate for new loans and credit card accounts. Right after a bankruptcy you can expect your credit score to drop anywhere from 200 to 300 points. With the passage of time and a new positive payment history, negative entries on your credit report--even bankruptcy-- have less of an impact on your credit score. More recent items will carry more weight, so make sure that you pay your current accounts on time - every time. When an offer seems unfavorable but you're tempted to consider it simply because you're eager to get your credit re-established, say no. There are better options out there, even very soon after bankruptcy, and it's important to take the time to educate yourself and find them. A bankruptcy will stay on your credit record for ten years. But that doesn't mean that you have to wait ten years to get credit again. On the contrary - you can start to rebuild your credit as soon as your bankruptcy case is over. A majority of Chapter 7 and Chapter 13 bankruptcy filers can finance a car shortly after getting their bankruptcy discharge. Within months of the discharge, you will also probably start receiving credit card offers in the mail also. Apply for a secured card. These are credit cards where you open a savings account with the issuing bank and deposit money. Your credit limit will be equal to the amount that you deposit in most cases. Be sure that you are getting a credit card from a company that will be reporting your excellent payment history to the three credit bureaus. Make sure the secured credit card is a Visa or MasterCard that can be used anywhere. Some companies will offer you a Visa or MasterCard that looks authentic but it can only be used on their products or their catalogue. Do not be late on paying your mortgage or rent, water or telephone. If you received a secured credit card, make sure that you always pay that on time too. Keeping all bills current after a bankruptcy is very important towards rebuilding credit again. There are some bankruptcy-friendly auto dealers and mortgage companies. If you do business with them, make all your payments on time. Write a statement to your credit report at the three major credit bureaus and explain why you filed for bankruptcy. Also include what steps you're taking to ensure timely payments going forward. Keep your debt to income ratio low. Don't take more than 20-25% of your income in debt. Don't borrow more than you can pay back easily. In short, make any payments that you have on time - every time. The reality is that for most bankruptcy filers, filing bankruptcy doesn't change their credit opportunities too much. Most people consider bankruptcy because their credit has already taken a tumble due to unpaid bills or mortgages. Filing bankruptcy will give you a fresh opportunity to handle new accounts carefully. In time, more credit opportunities will open up and you'll begin to see better interest rates and credit terms. If you are thinking about filing bankruptcy, schedule a free consultation with one of our Fort Lauderdale bankruptcy attorneys today!